Gone to See America. December 2007 Florida Road Trip. Day 5: Sarasota. 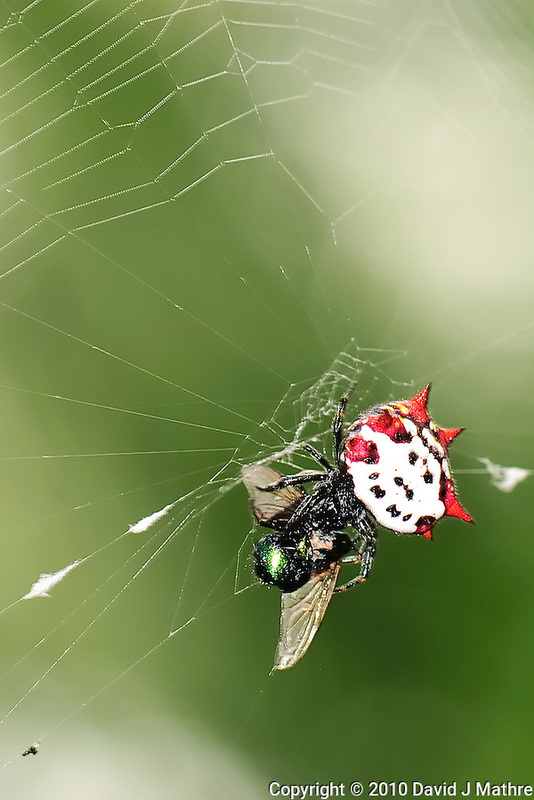 I was walking down a trail at Selby Gardens when I saw this red crab spider eating a fly that got caught in the spider’s web. I had never seen a crab spider before. It was hard to get a sharp image since the web was moving in the wind. I used a ring flash to try to freeze the motion.